In December 2014, Novartis announced it would cease further development of the luminespib program. These results suggest that luminespib may be active for this patient subgroup, which generally has disease that is refractory to first- or second-generation EGFR inhibitors. In the phase 2 study, 29 patients with stage IV NSCLC with EGFR ins20 were assigned to receive a standard starting dose of luminespib 70 mg/m2 weekly. All patients had been treated with at least 1 therapy prior to enrollment in the study. In the overall intent-to-treat population, the overall response rate was 17%; all responses were partial responses. Stable disease lasting longer than 3 months was achieved in 6 patients. This translated into an effectiveness of 38%. Two patients were later found to be EGFR ins20-negative, and these 2 patients both had stable disease lasting less than 3 months. When these 2 patients were excluded from the analysis, the overall response rate was 19% with a target rate of effectiveness of 41%. The median progression-free survival was 2.8 months and the median overall survival was 9.9 months. When the 2 EGFR ins20-negative patients were excluded, this increased to 3.3 months and 12.8 months, respectively. The most common treatment-related adverse events were diarrhea (83%), visual changes (76%), and fatigue (45%). 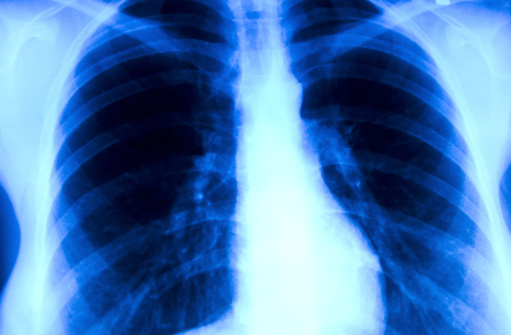 The authors noted that other targeted therapies for lung cancers harboring EGFR ins20 mutations — specifically, tyrosine kinase inhibitors (TKIs) — are under development at other pharmaceutical companies, including Spectrum Pharmaceuticals, Inc’s poziotinib, currently in phase 2 studies (ClinicalTrials.gov Identifier: NCT03066206); TAK-788 from Ariad Pharmaceuticals/Takeda (ClinicalTrials.gov Identifier: NCT02716116), now in an ongoing phase 1 study; and the currently recruiting phase 2 study on osimertinib that is being run by the National Cancer Institute (ClinicalTrials.gov Identifier: NCT03191149). Disclosure: The original study was funded by Novartis Pharmaceuticals Corporation. For a full list of disclosures, please refer to the original study. Ligand Pharmaceuticals Incorporated. Ligand announces the close of its acquisition of Vernalis [press release]. https://www.ligand.com/news-events/press-releases/detail/362/. Published October 10, 2018. Accessed October 31, 2018.